Houston harpist Echo Shen is an active musician in Houston, Texas. Classically trained to a very high standard, she has performed at many prestigious venues world-wide, and performs regularly for weddings and corporate events in top hotels. She has performed numerous private events and is known for her variety of musical styles, with an extensive repertoire ranging from classical, baroque, jazz, folk, Broadway show tunes to the most current popular hits. Echo has appeared on Fox Local Morning News for the Valentines Special program, and was invited back for Christmas programs. As a concert musician, Echo has recently performed at the Sydney Opera House in Australia. She has appeared as a soloist with the Norrköping Symphony Orchestra in Sweden, engaged in numerous concerts at the Beijing Music Festival and performed with the China Philharmonic Orchestra. She has also played with the Tulsa Opera, Cleveland Pops Orchestra, Shreveport Symphony Orchestra, Houston Doctors Orchestra, Houston Children's Chorus, Cantare Houston, Laredo Philharmonic, South Bend Symphony Orchestra, just to name a few. A native of Beijing, China, Echo began her harp studying at the age of eleven. After receiving her diploma with honors from Interlochen Arts Academy in Michigan, she attended the Salzedo Harp Colony in Camden, Maine. Echo holds a Bachelor of Music from Cleveland Institute of Music and a Master of Music from the Shepherd School of Music at Rice University where she studied with Houston Symphony harpist, Ms. Paula Page. Her other teachers have included Alice Chalifoux, Yolanda Kondonassis, Suzann Davids and Joan Holland. 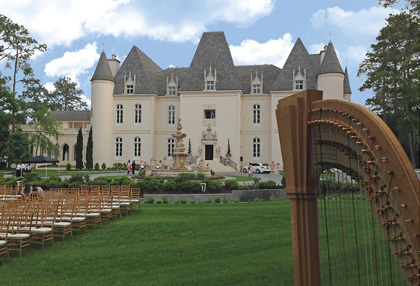 Echo is available to play at weddings, private functions, corporate events, cocktail parties, concerts, restaurants, hotels and any other venues where a harpist would be suitable. She would be a great addition to an intimate dinner setting, even at your own home to add a flair and provide a wonderfully enchanting and sophisticated ambience. 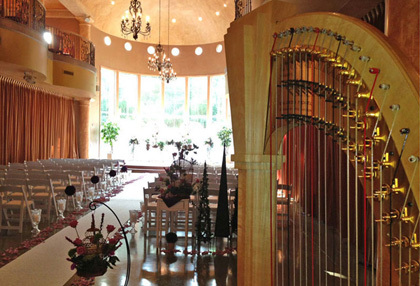 Echo will delight you and your guests with her charming personality and harp music. Will your harp be loud enough for my space? The harp is an extremely resonant instrument, The sound it produces will travel well in large spaces without being overpowering. In special circumstances, the harp also can be easily amplified by my Crate 50W battery-powered amplifier. Do you play outdoor event? Yes, but only under certain conditions. 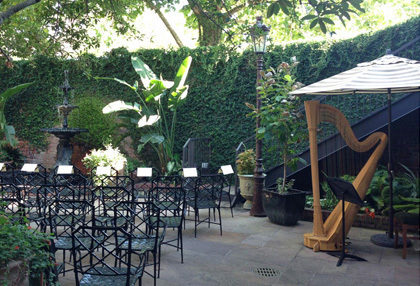 The harp is very sensitive to weather conditions and cannot be subjected to rain or extreme heat. Also, the harp can only be played on flat, hard and leveled surfaces (preferably pavement or wood). Fee varies based on location, performance length and type. To inquire about your event, please contact me for more details. 1. Selecting your wedding music. 2. Many people have specific pieces that they would like to incorporate into their wedding ceremony, but for those who do not, this guide can serve as a starting point for the music selection process. 3. These lists are by no means completed. So, if you would like to request a piece that you do not find listed here, please, contact me. I will do my best to accommodate your needs. Also, if you so desire, you may leave your music selection entirely up to me. 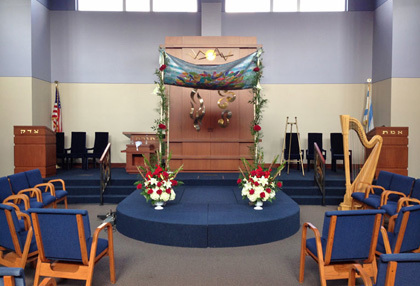 The prelude music usually lasts between fifteen to twenty minutes prior to the ceremony. 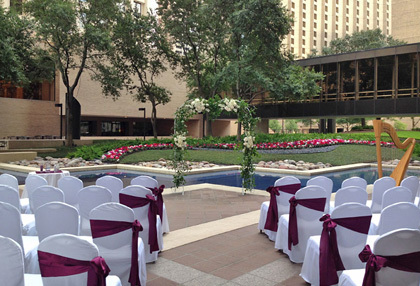 It helps to set the tone for your special day. You may choose to have one music selection for the entrance of the bridal party and another for the bride, but it is also acceptable to use the same piece for both. Some very popular suggestions are listed. • Wagner - Bridal Chorus from "Lohengrin"
This selection is traditionally upbeat and joyful. 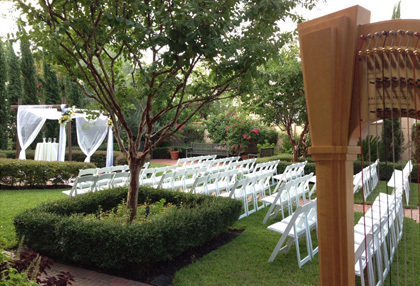 There are many options for this part of the ceremony, but the most common requests are listed here. 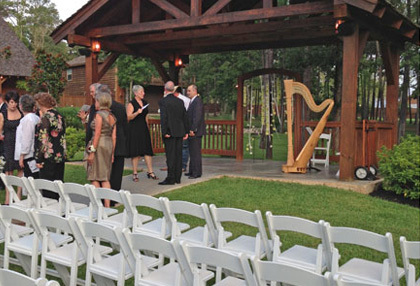 Many people choose to have additional music during the ceremony, whether it be during the lighting of the unity candle or simply a solo between readings. 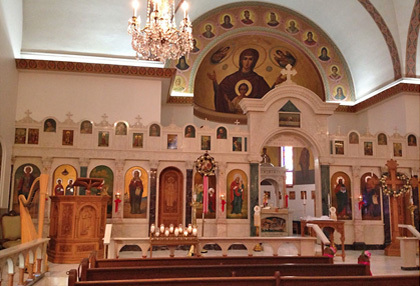 As long as you know when you would like the music played, suitable selections can be made. 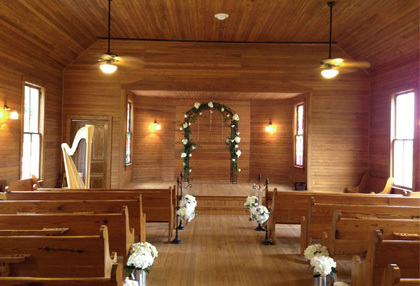 I can certainly provide all of the music for your ceremony, but many choose to have other instrumentalists or vocalists provide some of the music. 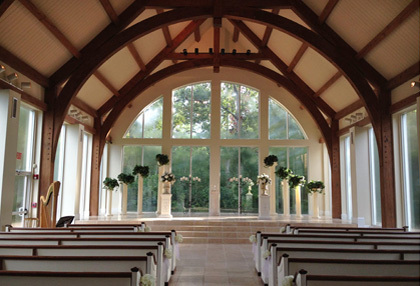 I am willing to play as much or as little as you wish because your wedding music should be exactly what you desire. 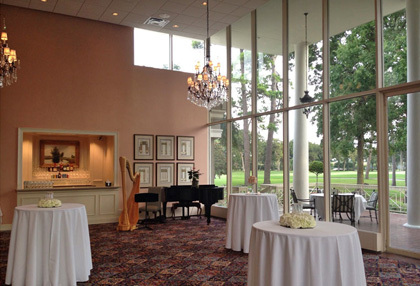 Echo is an accomplished harpist in Houston, Texas. Her beautiful music adds elegance to any special occasion. "The resonance of harp—where words fail, music speaks." 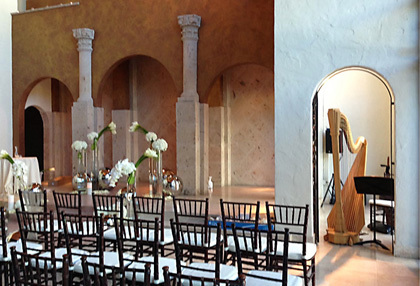 Find Houston harpist, Echo Shen on Google+ and YouTube.